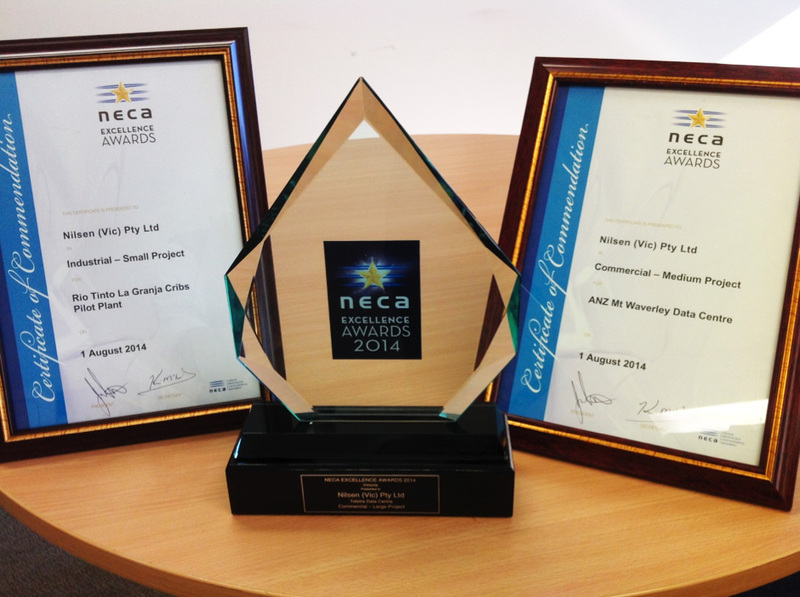 Nilsen Victoria took out the prestigious Commercial – Large Project award with the Telstra Data Centre Project. The major award for the day capped off a great afternoon where Nilsen picked up two Certificates of Commendation for Commercial – Medium Project for ANZ Mt Waverley Data Centre and Industrial – Small Project for Rio Tinto La Granja Cribs Pilot Plant delivered by Engineering Services. Our joint apprentice of the year runners up (Ashley Smith and Ben Franklin of the Contracting Division) also continued their celebrations with sponsorship prizes for their efforts. A sensational outcome by our team at Nilsen Victoria, congratulations to all involved.